Transferring files to your new Windows Server can be a hassle when you are first setting everything up. Plesk, FTP, or network file sharing might not be quite ready to use or your internet service provider may block those web ports. 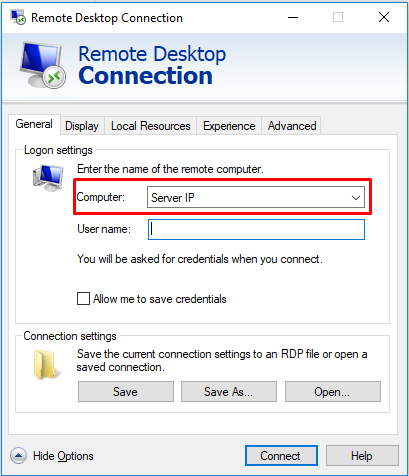 This is where transferring files via the Remote Desktop Connection program comes in! You can redirect your workstations hard drive and it will appear when you are logged in. This program comes with all Windows operating systems. 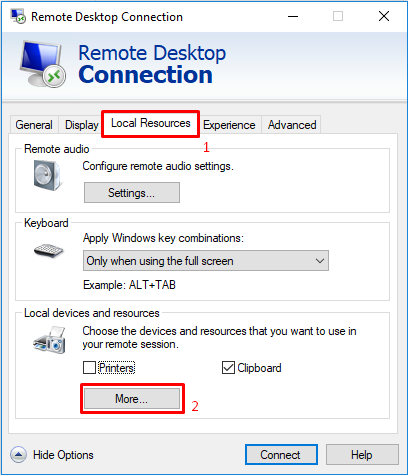 You can click the “Start” button and search for “Remote Desktop Connection” and a computer with green arrows should come up. This is the program we will be using. 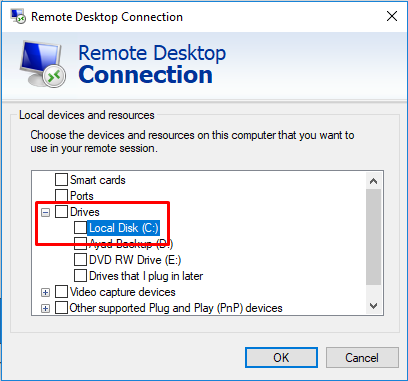 Here are the steps to configure the program to redirect your local workstation’s C drive. Note:You can also select the “General” tab and then “Save” to save these settings. Once you are connected to the server, you can follow the steps below to access the files. You should now be able to see all of your files on your local workstation! Keep in mind there is a file size limitation of 2GB when transferring files through this method. Additionally, transfer speeds may be a little slower.